July 28, 2017. Demydiv. Dinaz stadium. Att: 150. 22 oC. Shakhtar began the season with two wins, currently leading the standings. In the first round, Valeriy Kryventsov's boys beat Vorskla (3-1) away, also beating their major competitors Dynamo Kyiv through a goal by Danylo Ihnatenko (1-0) last Saturday. Stal lost to Zorya (1-6), tied with Chornomorets (2-2), currently occupying the last but one position. The starting line-up of the Orange-and-Blacks in comparison with the previous meeting has not changed. Again, the first-team players got some practice in the U21 team: goalkeeper Oleh Kudryk, midfielders Viacheslav Tankovskyi and Oleksandr Zubkov. Shakhtar immediately gained the unconditional advantage and constantly threatened the hosts’ goal, still being unable to score for some time. An attack involving three players, Zubkov and Hluschuk, was finished off by Ihnatenko – just wide. A series of crosses from both wings did not find any Miners in the penalty area. Hluschuk tried his luck with a long-range shot – just wide again. But it was the Donetsk centre-forward who, at the end of thirty minutes, opened the scoring and initiated the demolition of Stal. 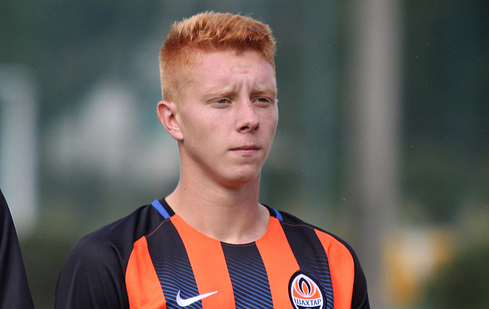 Zubkov softly sent the ball into the penalty area, and YuriiHlushchuk beat the goalkeeper from tight angle – 0-1. Six minutes later, Valeriy Kryventsov's team made a powerful effort, finding the back of the net three times. 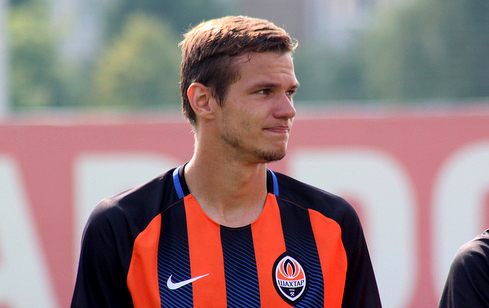 Oleksandr Zubkov took advantage of the long ball to burst into the penalty area and diagonally struck the corner. Immediately after that, the visitors earned a free kick on the left flank and played it in a special way: Topalov sent a low ball towards the penalty spot, and Oleksandr Masalov beat the goalkeeper – 0-3. And five minutes before the break, Yurii Hluschuk grabbed a brace: the forward in the right-hand corner of the goal area received a diagonal pass from Masalov, covered the ball with his body and beat Ryabenko again – 0-4. Immediately after the break, Roman Yalovenko replaced Roman Yalovenko as an attacking spearhead, with ten minutes being enough for him to score: Topalov challenged for the ball on the opposing half and brought the striker one on one with the goalkeeper, with Roman firing it home into the far corner – 0-5. After that, the pace dropped slightly, with the Miners still continuing to create chances. Yalovenko had his chances, Illya Putrya kneed the ball from the goal line against the crossbar, then delivering a powerful shot from some 20 metres to go just above the bar. The Steelmakers also got more active, with the visitors being initially rescued by the crossbar, and the hosts earning a spot kick on 80 minutes, which was converted by Vladyslav Vakula. Using the strength of the fresh players, Shakhtar were charging forward until the dying minute and set the final score in injury time. Arendaruk failed to beat the goalkeeper within close range, but the ball was picked up by Oleksandr Halhola, who made it past a defender and planted it home – 6-1. - I want to congratulate the players on the win. We got a powerful first half, which resulted in a 0-4 win before the break. The guys did a very good job, they were organised and well-coordinated. We carried out numerous blistering attacks, used the free zones that were successfully entered by Hluschuk, Zubkov, Topalov. In the second half, the good score allowed all the players to prove themselves, and they started pretty well, again, creating a great number of chances, although finishing was poor. In addition, they allowed the opponents to conduct several dangerous attacks. But for that there are theory sessions, where we will analyse every episode for them not to be repeated again. In general, we are happy with the performance and the result. Many players are progressing, there is competition in each role. The team have a wonderful microclimate, and we are preparing for the next games in a great mood. 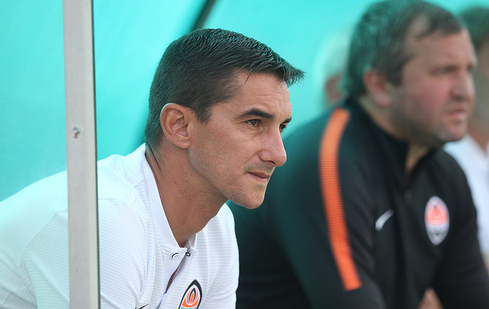 In the next round, the Orange-and-Blacks are facing a home meeting vs Mariupol. The game will be held in Schaslyve on Friday, August 4. 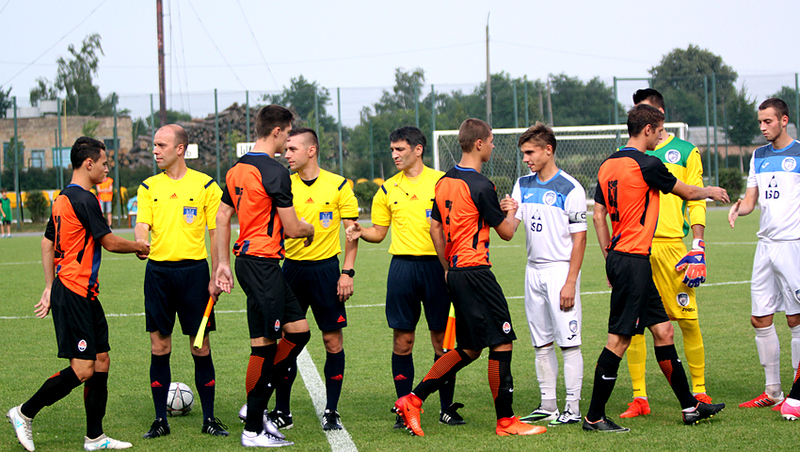 Follow the games of U21 and U19 teams by signing up to the Telegram and Viber accounts of FC Shakhtar.